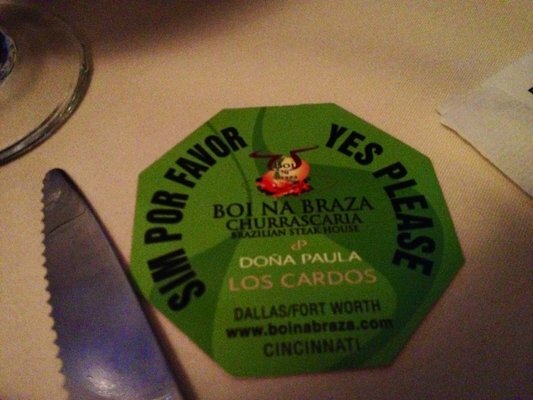 For Cincinnati Restaurant Week, three friends and I embarked upon Boi Na Braza for our annual overdose of meat. 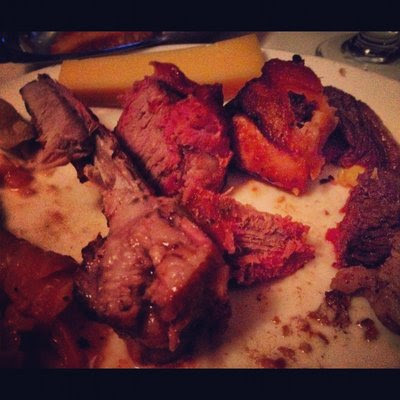 For $35.00, we received three courses, the highlight being unlimited carvings of their 15 offerings of skewered meat. Our meal ended as expected: elbows on the table, heavy breathing, and eyes glazing over in ecstasy. 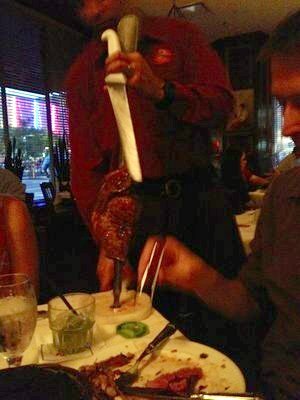 The restaurant is based on the churrasco cooking of Brazilian Gaúchos who roasted meat on skewers over an ember fire pit. Families would gather for dinner, and Gaúchos would cut the meat from the skewers Rodízio style, meaning around the table, until the meat was finished. 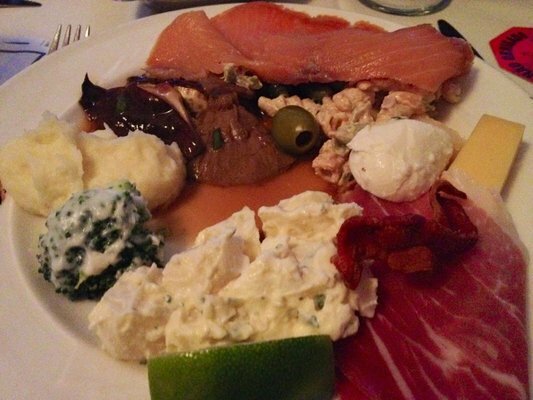 Flip the paper coaster next to your plate over to green to cue the Gaúchos. Very quickly, you will be surrounded by servers slicing off meat from skewers. Finished gorging? Just flip your coaster over to the red side and the Gaúchos will let you be... until you flip it back to green again. Boi Na Braza is competitive eating against two tough rivals: your stomach versus your brain. 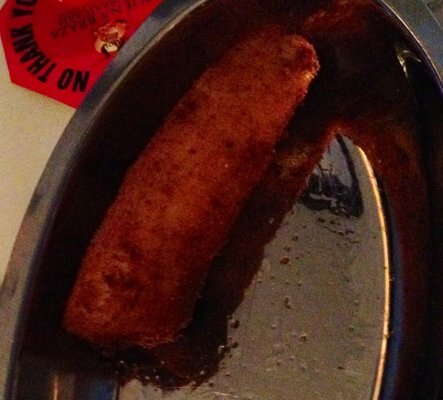 The goal: how much meat can you stuff in your face before your brain realizes you're full. The answer: a lot. As our table felt the pending doom of the meat sweats, a server approached with a dessert cart. Suddenly, somewhere under all that beef, we found room for a slice of pie.